UL Innovative Education Award program brings students together to build a "Sea Rocket." Despite being separated by more than 1,000 miles, students from Islesboro Community School working with the Hurricane Island Center for Science and Leadership partnered with the Chicago Eco House last month to kick off a year-long sustainability project. The partnership was forged after both organizations won our 2017 UL Innovative Education Award and attended a summit to collaborate on special projects that further their missions. 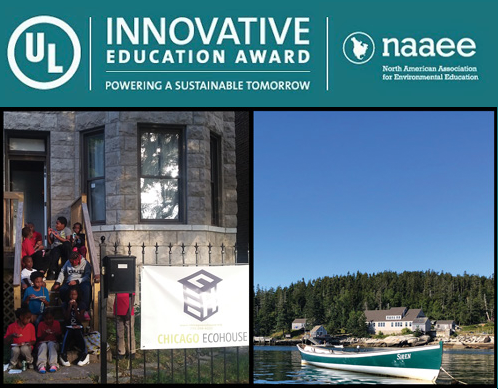 Both organizations refer to this collaboration as the “island students project” due to the similar challenges their students face in isolating neighborhoods: coastal Maine and inner-city Chicago. In a neon-lit garage overlooking the marina in Point Richmond, California, the stubby white form of an experimental submarine with wings and a tail – a child's idea of a spacecraft – rests on a galvanized trailer. The blunt-nosed hull is 17 feet long and just large enough to accommodate a single man. It encloses a glossy black cylinder of wound carbon fiber that ends in a thick glass dome engineered to withstand the eight tons per square inch of pressure it will face sometime this year on its journey to Challenger Deep, the deepest point in the world's oceans – a place not visited by man for more than half a century. Beneath the cockpit, bright-red decals spell out the names of the men who plan to pilot the submarine and under their names in slightly smaller letters, a third credit. ­Designer: Graham Hawkes. "This," Hawkes announces, "is Challenger." A sharp-featured Englishman in his early sixties, Hawkes may have designed more submersibles than anyone else alive – everything from torpedoes to revolutionary diving suits for oil exploration to an underwater "swimmer delivery vehicle" he's currently working on for U.S. special forces – but the vessel in front of him, known as DeepFlight Challenger, is unlike any of the other submarines he's worked on. "You're looking at a craft that is twice as deep as anything else," he says. 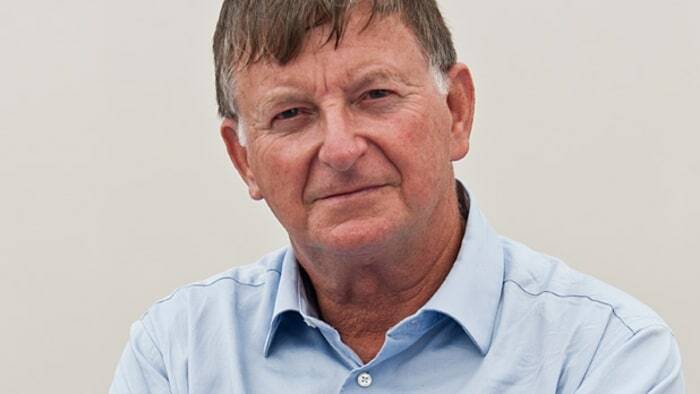 As Graham Hawkes describes it, he was sitting in the front seat of what is basically an underwater sports car when he was ambushed by a great white shark. He’d recognized the shark’s behavior as a territorial challenge, and wanted to pull away, but unfortunately he had business magnate and Virgin Group founder Richard Branson riding shotgun. “I remember Richard saying ‘Get closer, get closer!’ and I thinking ‘I’m not going to face down a great white shark,'” Mr. Hawkes told Betabeat. But when you’re training your latest client on how to use their new personal submarine, the customer is always right, and there are some people you just don’t say no to. Mr. Hawkes is the founder of DeepFlight, a young company that makes recreational submarines for the kind of men who would want a $1.7 million underwater Ferrari. Mr. Hawkes has a unique understanding of how to cater to men who resemble real-life Bond villains. After all, once upon a time, he was a Bond villain himself. For the filming of the James Bond movie For Your Eyes Only back in 1980, Mr. Hawkes was hired as a mechanical engineer to help with a scene in which Bond is attacked underwater by a small submersible. Considering Mr. Hawkes’ expertise, they had him pilot the vehicle himself, resulting in his singular feature film debut. Where does James Bond submarine designer Graham Hawkes get his ideas? Graham Hawkes, British marine engineer and founder of DeepFlight, made the submarine that appeared in For Your Eyes Only. Here he talks about designing underwater craft, selling subs to Richard Branson, and nearly killing Roger Moore’s stunt double. Nothing’s more relaxing than subaquatic life. I’ve taken probably 100 people underwater, from kids to kings, even my mother-in-law. What’s surprising is everybody, without exception, goes into a quiet, relaxed state. Function wins over design. Things need to look beautiful but also need to function. My recent DeepFlight Dragon submersible is supposed to look like an F1 car. But I didn’t have that in mind until the very final touches. 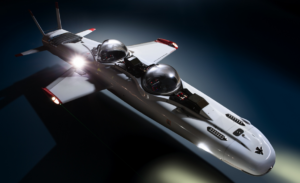 When submarine maker Graham Hawkes started designing his next generation of underwater cruisers, he decided to look to the skies instead of the sea. Hawkes, who built the "Mantis" sub for the James Bond film "For Your Eyes Only," was attending a drone conference a couple years ago and attendees were discussing the goal of one day constructing a manned drone. Read article and watch video. Created by world renowned marina engineer Graham Hawkes, the all-electric powered DeepFlight Dragon offers a unique and exhilarating way to explore the underwater world. 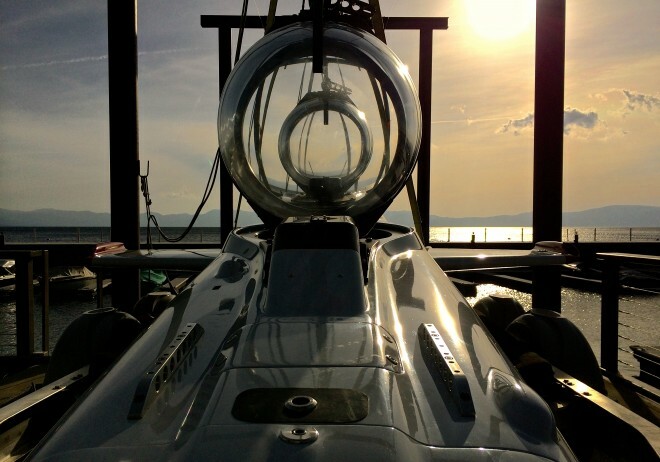 The latest submersible to be launched by California-based company DeepFlight, the Dragon follows the resounding success of its predecessor the Super Falcon, which is owned by such distinguished figures as Richard Branson, as well as co-founder of Red Bull Dietrich Mateschitz and venture capitalist Tom Perkins. The latest in personal submarines from DeepFlight makes ocean exploration as easy as playing a video game. HOMEWOOD, CALIFORNIA IS a sleepy town, a bundle of homes surrounding a small ski area on the western shore of Lake Tahoe. In the summer, it’s even sleepier, occupied primarily by vacationers seeking a respite from urban life in the quiet forests of the Sierra Nevada. In other words, Homewood is not where you’d expect to see one of the world’s most technologically advanced recreational submersibles, yet there it is, the DeepFlight Super Falcon, basking on the dock, attracting open-mouthed stares from passers-by. But then again, Graham Hawkes has never really been one for convention. As the designer of the Super Falcon, Hawkes sought a craft unlike any other, an underwater airplane rather than a sinking sphere. 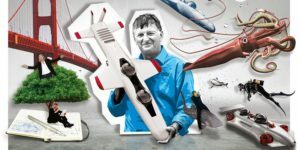 POINT RICHMOND, Calif.— AS a boy growing up in London in the early 1950's, then as a young engineer, Graham Hawkes often regretted having been born too late to join the machine-shop daredevils who flew into the sky on a shoestring and, almost as an afterthought, founded the aviation industry. That melancholy gave way as Mr. Hawkes discovered the challenge of the emerging field of undersea engineering. His pioneering ideas soon made him one of the world's top designers of diving suits, submarines and undersea robots and helped him start a number of successful companies. Here at a marina on San Francisco Bay, his 40-foot sailboat and black Corvette nearby, he is now embarked on a venture that for the first time joins his love of flight with his vision of the deep. If he is successful, his new vehicle will take him into the inky blackness of the ocean's deepest canyon, nearly seven miles down, his latest foray in a long effort to fathom the planet's last frontier.